The Regular Season in Liga Metropolitana just ended. Host teams show no mercy winning all games. Here is the last round review presented by ESL. Third ranked Club Force (7-3) crushed at home 9th ranked URL (1-7) by 41 points 97-56, which is the biggest margin this round on Tuesday night. Club Force dominated down low during the game scoring 48 of its points in the paint compared to URL's 28. 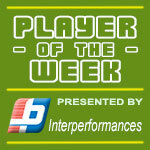 Worth to mention a quality performance of forward Hector Chur (179) who helped to win the game recording 34 points (!!!) and 5 rebounds. 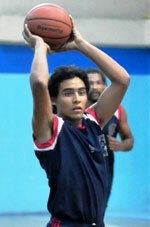 Center Helmut Esquivel (196-0) helped adding 18 points and 7 rebounds. 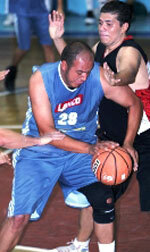 At the losing side guard Luis Menendez (179-95) responded with 18 points and 9 rebounds. Club Force have a solid series of four victories in a row. They moved-up to second place. URL lost fifth consecutive game. They keep the ninth position with seven games lost. In the last game of round 19 URL lost to GMS on the opponent's court 68-74. Very expected game when 9th ranked URL (1-7) was defeated on the road by fifth ranked GMS (4-4) 74-68 on Tuesday. However just six-point win is not that big difference and the fans of host team counted on more convincing victory. GMS forced 25 URL turnovers. It was a great evening for Erick Palma (-80) who led his team to a victory scoring 14 points and 8 rebounds. Forward Jorge Castaneda (189-82) helped adding 17 points and 5 rebounds. At the losing side guard Luis Menendez (179-95) responded with a double-double by scoring 19 points and 11 rebounds and Salvadorean guard Luis Perez (185-95) produced a double-double by scoring 13 points and 11 rebounds. Both teams had four players each who scored in double figures. URL's coach rotated ten players in this game, but that didn't help. GMS maintains fifth place with 4-4 record. URL lost fifth consecutive game. They keep the ninth position with seven games lost. Third ranked Club Force (7-3) crushed at home 9th ranked URL (1-7) by 41 points 97-56, which is the biggest margin this round on Tuesday night. Club Force dominated down low during the game scoring 48 of its points in the paint compared to URL's 28. Worth to mention a quality performance of forward Hector Chur (179) who helped to win the game recording 34 points (!!!) and 5 rebounds. Center Helmut Esquivel (196-0) helped adding 18 points and 7 rebounds. Four Club Force players scored in double figures. At the losing side guard Luis Menendez (179-95) responded with 18 points and 9 rebounds and Rudy Morales (-99) scored 18 points and 8 rebounds. Club Force have a solid series of four victories in a row. They moved-up to second place. URL lost fifth consecutive game. They keep the ninth position with seven games lost.